Sending your bird through the mail or on an airline can be a stressful experience for both you and the bird. Luckily, by following the steps in this guide, you can minimise the difficulties that you’ll both face. We’ve laid out the steps for shipping domestically (within the USA), information to check when sending internationally (outside the USA), plus reviews of the best shipping boxes for live birds that you can buy. Follow the instructions below and your bird will arrive at it’s destination in both a happy and healthy state. Make sure you have filled in thelive appropriate forms that they require. For most deliveries you’ll be able to skip this step. However, an example of this would be when sending something to Hawaii you would want to check out their HDOA website. 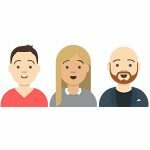 Check out the review section at the end of this article on the best shipping boxes to buy. For larger birds you will want to consider a travel cage and for more information on this you’ll want to check out our dedicated guide here. Provide food such as seeds and water inside the box. Also, provide moist foods such as apples, oranges or cucumbers in case the water spills. Soft bedding should be placed at the bottom of the box such as non-colorized newspaper or soft straw. Follow the instructions on the shipping box carrier and do not exceed the bird size or bird number restrictions. Consider installing a simple perch a few inches off the ground. Make sure the words ‘Live Animal’ are displayed on the outside of the container if they are not already there. When transporting birds or parrots with powerful beaks then a wire mesh will be required (such as the example here). First, weigh your bird to check that it is within the weight limits of your shipping company. You can use a scale like the one below. It’s a good idea for the bird to see and play with the shipping box or carrier before it’s trip so that the bird becomes familiar with it. Only send the bird if it is healthy and showing no signs of injury. Postpone the delivery if these issues arrive. Make sure the bird is fully fed and hydrated before placing inside the box. Consider giving the bird vitamins and supplements before shipping to boost their immune system. Don’t drug or sedate the bird before sending. Check the weather conditions of the route that bird will be travelling. Ideally you want the weather to be mild and not too hot or cold. Only schedule your delivery to start during the first few days of the week, Monday to Wednesday. You don’t want to ship during the latter part of the week when delays might occur at the weekendu. Also, keep an eye out for public holidays. Consider purchasing health insurance for your bird to cover it’s health in case anything goes wrong. Double check you have filled in all of the appropriate forms correctly. Write the deliver address on the box in case the label comes off. Give the receiver of your bird the tracking number and let them know the arrival times and dates. Check Cities.org to see if your bird needs a permit to travel. Go to this page and within your browser normally you can do a keyword search by pressing “Ctrl + F”. Generally once you have permission, you’ll also need a certificate from a Vet proving that the animal is disease free. To do this they’ll send a blood sample to the USDA which is then checked by the FWS. Search your animal species on the Red List to see if the species is restricted or endangered. Canada – has the following importing rules to follow and also these requirements. United Kingdom – has this government website for advice on importing birds. Get the tracking number, dates and times of your delivery. It’s worth taking the day off on the date of arrival in case the birds arrive early (or late). Antibiotics in cause the bird is sick. Food and water that the bird can easily find. Supplements on hand, such as Grogel. When opening the box, you’ll want to close all the windows and doors of the room. Also, if the cage is big enough, then open the shipping box inside of the cage so that the bird can immediately enter it’s new home. Approved for use with the United States Postal Service. Easy to assemble, this box is spacious and durable. Plenty of holes for ventilation with pre-installed bio filter fabric. Comes with optional diagonal box divider and zip ties. 100% made in USA. Designed so that multiple boxes can be shipped together. Fairly expensive for a cardboard box, but it’s worth paying extra for the safety and well being of your birds (plus it can be reused if you’re the receiver). Possibly the best live bird shipping box available. Made from tough, heavy duty cardboard that’ll withstand transportation. Assembly can be done within a minute and there’s plenty of room for most sized birds. Our number one choice. Comes with a 20 gauge wire mesh to prevent parrots from chewing through the cardboard. Ideal for species such as Cockatiels, Rosellas and Indian Ring Necks. Inspection viewing window for officials to see the health of the bird. 30% more ventilated. Very well ventilated with extra holes and filters already stuck on. Less expensive than it’s competitor. Easy to carry handle and zip ties included. Easy setup and approved for use with USPS. Slanted roof means there’s less rectangular box space. A close runner up, this box from Horizon is also a top quality competitor. Now made with stronger cardboard than it’s previous model, it’s a well designed shipping box. A great choice for people on a tighter budget. These poultry shipping boxes from Wicked Chick Design are used for sending baby chicks and have a capacity of up to 25 chicks. Sold as a set of 5, they come with plenty of ventilation holes. Box size is 12″ X 10″ X 7″ with 6″ of internal height for the chicks. 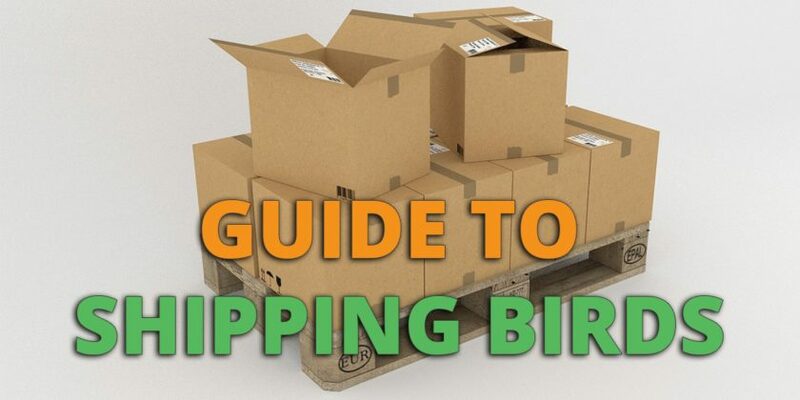 Some of the following items might be helpful when shipping your birds. Weighing your birds is necessary so that you can check that you’re within the delivery companies weight capacity. Highly accurate and with a capacity of up to 96 ounces, these high quality scales come with a built in perch and make weighing your birds that much easier. A specially made formula that helps baby chicks to grow after they have hatched. A mixture of Grogel powder and water is often fed to baby chicks after they have been delivered through the mail. A small amount of bedding like this one from Kaytee should be placed at the bottom of any shipping box so that it can adsorb any waste the bird creates during it’s journey.